The Match-Grade Model 3BR was created to be the ultimate powder measure... "out of the box" match ready! Since its creation this powder measure has been helping Silhouette shooters and Benchrest Shooters win matches and set new records. It all started witht he time proven accuracy and reliability of the original Model 3 Powder Measure. The Model 3BR Powder Measure utilizes all of the features of the original Model 3 and to that Redding added the conversion features that Benchrest shooters were looking for. It quickly became their most popular powder measure for two very good reasons... Its broad range of charging cpacity and its performance record. Additional Metering Chambers are availiable. Hangun Metering Chamber has a charge range of 0 to 10 grains. 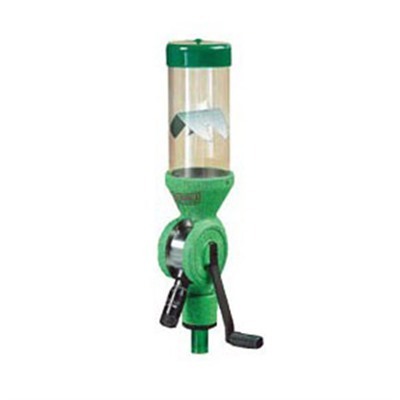 Rifle or Universal Metering CHamber has a charge range of 5 to 100 grains.